Clear straw color. Aromas of buttercup flowers, amber honey, and potato chips with an crisp, dry medium-full body and a captivating, medium-long honey blossom, graham cracker, petrol, and slate finish with no oak flavor. A charming Michigan Riesling with surprising German qualities and layers. 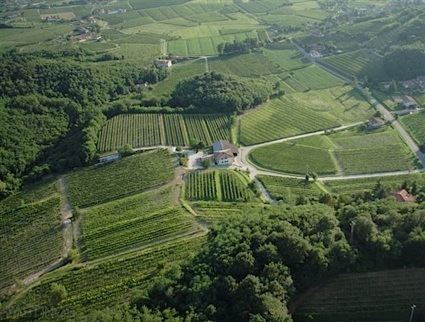 Bottom Line: A charming Michigan Riesling with surprising German qualities and layers. 81 • White Pine NV Pinot Grigio, American 12.5% (USA) $15.99. 88 • White Pine 2015 Dry, Riesling, Michigan 12% (USA) $15.99. 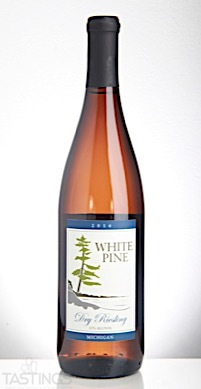 81 • White Pine 2013 Semi-Dry Reserve, Riesling, Michigan 10% (USA) $15.99. 86 • White Pine NV White Expression Medium Sweet White Blend, Michigan 11.5% (USA) $10.99. 88 • White Pine 2016 Mirage Reserve, Chambourcin, Lake Michigan Shore 20% (USA) $15.99. 89 • White Pine NV Ice Wine Reserve, Lake Michigan Shore 11.4% (USA) $29.99. 84 • White Pine 2016 Pinot Grigio, Michigan 12.5% (USA) $16.99. 90 • White Pine 2016 Dry, Riesling, Michigan 12.5% (USA) $15.99. 87 • White Pine 2016 Semi-Dry Reserve, Riesling, Michigan 10% (USA) $16.99. 85 • White Pine 2016 Traminette, Michigan 12.5% (USA) $15.99. 86 • White Pine 2016 Ladyslipper Blush, Chambourcin, Lake Michigan Shore 12.5% (USA) $16.99. 89 • White Pine 2016 Reserve, Cabernet Franc, Michigan 12.5% (USA) $28.99. 86 • White Pine 2016 Reserve, Merlot, Michigan 12.5% (USA) $25.99. 88 • White Pine 2016 Serendipity Red Blend Reserve, Lake Michigan Shore 13% (USA) $26.99. 89 • White Pine 2017 Reserve, Cabernet Franc, Michigan 12.5% (USA) $32.99. 87 • White Pine 2017 Sophie’s Vineyard Reserve, Cabernet Franc, Michigan 12.5% (USA) $35.99. 85 • White Pine 2016 Serendipity Red Blend Reserve, Lake Michigan Shore 13.0% (USA) $28.99. White Pine 2016 Dry, Riesling, Michigan rating was calculated by tastings.com to be 90 points out of 100 on 12/12/2017. Please note that MSRP may have changed since the date of our review.